What Makes Hoover Vacuum Cleaners So Popular? What Makes Hoover Vacuums So Popular? When we think of the word Hoover, the thought of something with powerful suction comes to mind. In fact, the comparative phrase, “like a Hoover” is used to describe anything with exceptional suction power. That’s because Hoover is an extremely popular vacuum cleaner company that’s known all over the world. What makes Hoover vacuums so popular? Let’s find out. Hoover still makes some of the best vacuum cleaners in the world and we don’t see that changing anytime soon. Their story began with Murray Spangler in 1907. He was a janitor by night and an inventor by day, but his night job was wearing on his health as he had an asthma problem. He wanted to find a way to avoid kicking up dust in the air as he cleaned every night, and so, he invented his very first “suction sweeper.” The design basically consisted of a mounted electric fan motor on a Bissell carpet sweeper, as Bissell had started with the original carpet sweeper back in the late 1800’s. The contraption was completed with a soapbox and handle, and after the design was refined it was patented as the Electric Suction Sweeper. W.H. Hoover bought the patent from Spangler a year later. To sell it, he put an ad in the newspaper offering 10 days of free trial use to anyone who requested it. The electric sweeper sold better than they had dreamed. Hoover then went on to establish a national dealer network to distribute the suction sweepers, a network that Hoover still uses to this day. By 1929, Hoover introduced a new suction sweeper model, the Model 200 Duster. It was their first cylinder cleaner. Only 9000 of those were ever made. In 1930, Hoover introduced the Dustette, the first ever handheld vacuum cleaner. These handhelds still exist to this day, and some have been working for the last 80 years. 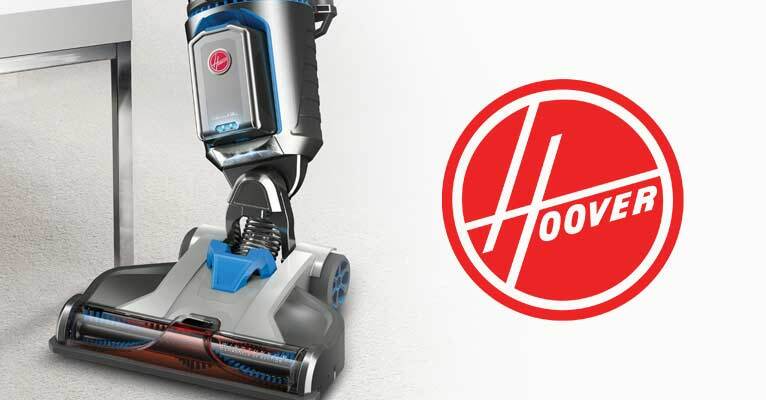 Other innovative inventions by the Hoover team include the vacuum cleaner headlight in a disposable paper bag, self-propulsion, self-adjusting features, streamlined designs and the side-mounted hoses. Today, Hoover has an extensive line of products for all kinds of vacuuming purposes. They also used to have washing machines and tumble dryers that were mainly available in the UK and Ireland, but they were continued in the late 2000’s. The Hoover Air has been a popular vacuum, and that’s probably because there are so many models of it to choose from. This year’s popular model of the Hoover Air is the Air Cordless series 3.0 BH50140. This cordless upright vacuum cleaner is easy to operate and features a removable canister to be used as a handheld vacuum for cleaning places the vacuum as a whole can’t reach. In fact, its entire cordless design is about portability and being untethered and free to clean anywhere. It’s light enough to be carried anywhere in your house and it lasts a fair amount of time – about 50 minutes of combined cleaning time with its two lithium batteries, each taking 3 hours to charge. This nifty upright vacuum cleaner comes with a dual crevice tool, dusting tool, and a pivoting dust brush, as well as a handy box for storing and keeping the vacuum when it’s not in use. This easy vacuum is great for seniors, singles, and people living in small houses, flats, and apartments. Unlike many of the other Hoover vacuum models, this one actually features true HEPA filtration. It’s a handy upright vacuum with strong suction power, and it can be used for more than just cleaning floors. Easy to assemble, it comes with a few tools that can be stored on the vacuum itself, including a brush for pet hair, a wand, a nozzle and an upholstery brush. It features automatic cord rewind, an indicator light for when the vac needs maintenance and a canister that snaps out easily and opens at the bottom with the touch of a button, for easy cleaning and maintenance. The only real downside to this vac is that it is lacking a swiveling head, which takes it a few points down for maneuverability. Also, the avocado green that it comes in may not be everyone’s favorite color. All in all, this vacuum cleaner does a better job at cleaning than the average vacuum cleaner, and its versatility easily makes it a popular choice. At a cheaper price, it definitely gives similar competitor models, like the Shark Navigator Lift Away and the Shark Rotator Lift Away, a run for their money. Despite it being a stick vacuum, this one features a larger-than-usual dust cup that doesn’t need to be emptied as often as the traditional stick vac. It offers impressive cleaning power from a cordless stick vacuum and is something more like an upright vacuum than just a simple stick because of it. It picks up pet hair with ease and glides seamlessly on most floor surfaces, even though it doesn’t have a full swiveling head either. It features brush roll on/off functionality, a power gauge for battery life and a head that reclines to get under furniture. It’s also one of the quietest designs on the market, making it a pleasure to use for some. It has a folding handle for easy storage, a washable filter, bagless cleanup & easy empty dirt cup, carpet to hardwood brush roll and a 2-year warranty. It doesn’t come with additional accessories or attachments. It’s a great buy for someone who wants a lightweight cleaning tool that’s perfect for daily floor maintenance.